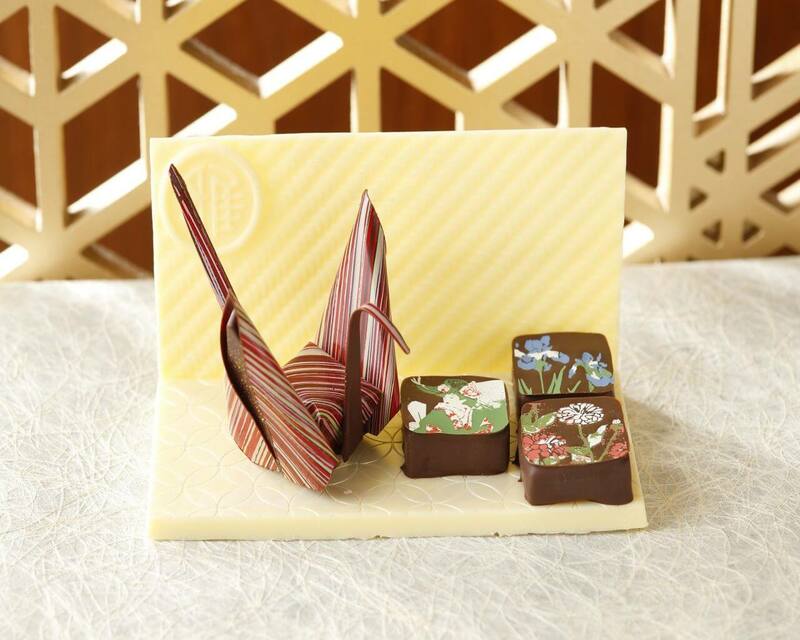 Lien 1928, a patisserie loated in Hotel Gajoen Tokyo―which is celebrating its 90th anniversary this year―is now selling a new folded paper crane chocolate. The product was released on September 1 and is the next chocolate released by patisserie chef Takeya Shouno serving as a follow up to their previously released temari ball chocolates. 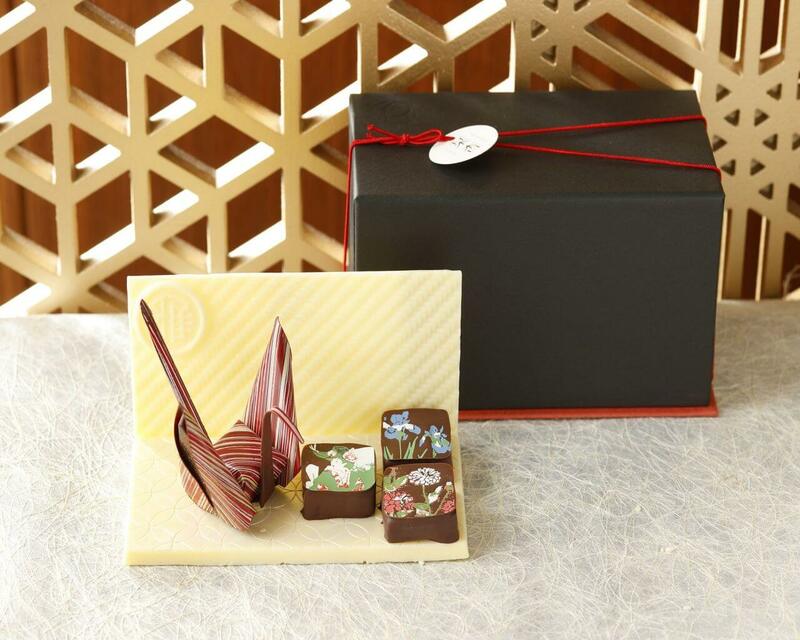 The hotel is offering two different products: the Folded Crane Chocolate & Ceiling Painting Chocolate Set and the Meoto Folded Crane Chocolate. The paper crane is made of dark chocolate and looks so much like a paper crane you wouldn’t think it’s chocolate. Pastry chef Shouno was inspired to make the chocolate to welcome to coming new era of Japan as next year the emperor will abdicate, meaning the Heisei Period will come to a close. He used the flax-leaf pattern to represent customers at Hotel Gajoen Tokyo. It took him one year of trial and error to get the design perfect and paper thin. 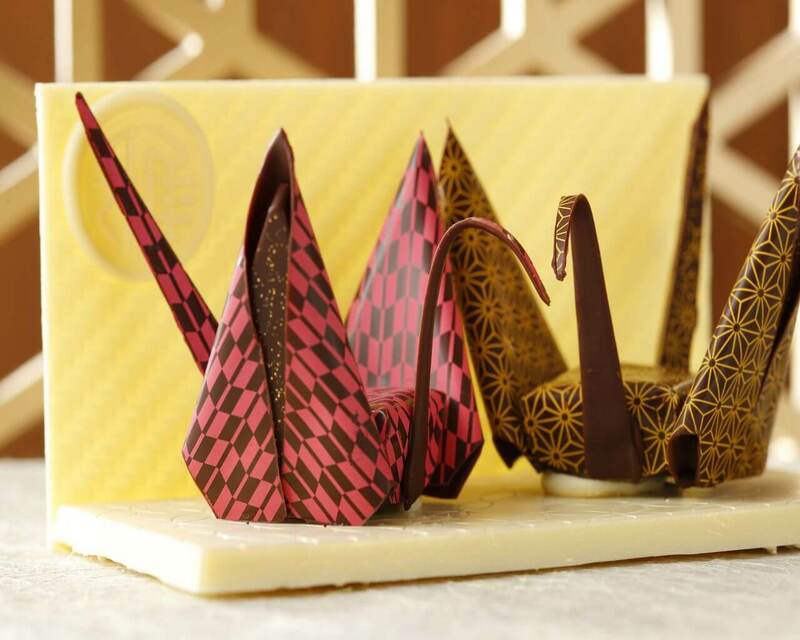 The chocolate cranes are also sat atop a white chocolate stage and sat before a white chocolate folding screen. The stage is also made with white sesame seeds, sesame oil and soybean to create a rich and sweet flavour and fragrance. 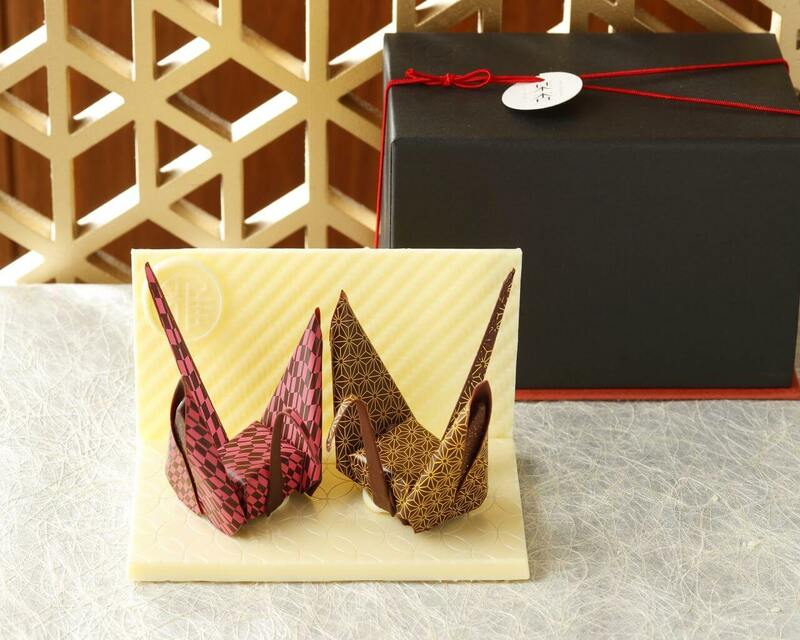 If you’re looking for a fancy Japanese souvenir then what better than chocolate paper cranes?